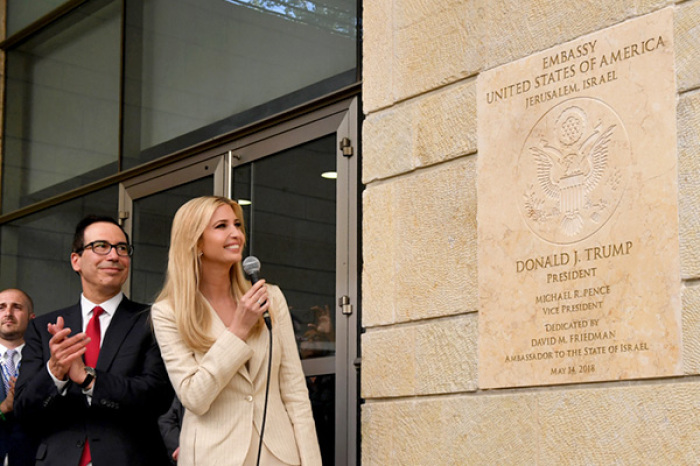 The move by the U.S. to relocate its Israel embassy from Tel Aviv to Jerusalem has been hotly debated both before and after the dedication ceremonies, but several countries seem to have seen some merits in doing the same. Guatemala was the first to join the U.S. embassy in Jerusalem earlier this May. The Eastern European country joins the ranks of Czech Republic, Romania and Honduras that were allegedly considering moving their embassies in Israel to Jerusalem, according to CNBC. Following the U.S. embassy in Jerusalem, Guatemala has moved in as well, a move that some see as a way for the smaller country to build up relations with the current U.S. administration and Israel in one go. The Trump administration's controversial move may also have opened a way for other countries to establish an embassy in the holy city without "bearing the political cost," according to Jonathan Cristol, a fellow at the World Policy Institute. Paraguay has likewise inaugurated its Israel embassy in Jerusalem, with the Paraguayan President Horacio Cartes and Israeli Prime Minister Benjamin Netanyahu in attendance. "A great day for Israel. A great day for Paraguay. A great day for our friendship," Netanyahu said at the time, as quoted by Reuters. As more countries consider moving their Tel Aviv embassies to Jerusalem, it also comes with it the perception that more nations are recognizing Jerusalem as the capital of Israel, a notion that had angered world powers who do not recognize Israeli sovereignty over the holy city.